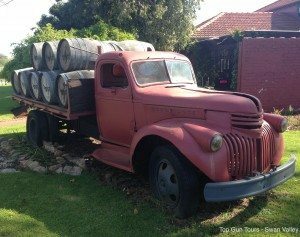 Family-owned business Swanbrook Winery is a distinctly Western Australian winery. They source the grapes solely from their Swan Valley property and surrounding vineyard, producing their wines on site. 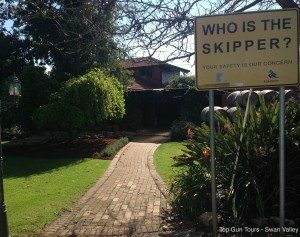 A boutique winery, Swanbrook produce wine for both the everyday consumer – and the experienced wine connoisseur. Owners, the Marshall family, have extensive experience in the winemaking business, having worked in the industry over 20 years, originally working for the former Evans & Tate Winery. For those of you that enjoy something a little different, we thoroughly recommend their wine-infused sorbet and the Swanbrook liqueur Muscat! Both make a delightful treat and are the sorbet is the perfect palate cleanser for wine-tasting visitors. They also double as tasty refreshments, especially in the summertime! Also available at Swanbrook is a café – famous for their wine-infused burgers, mouth-watering Swanbrook Platter and great coffees. 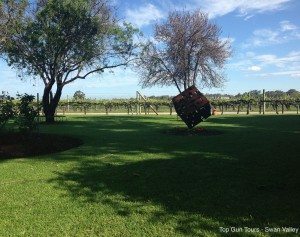 You can grab a tasty Fiori coffee to go, and then stroll through the beautiful, scenic gardens surrounded by grape vines. There’s also a great gift shop to explore, full of unique gift ideas, including jewellery and glassware, perfect for finding something special for a loved one – or even yourself! 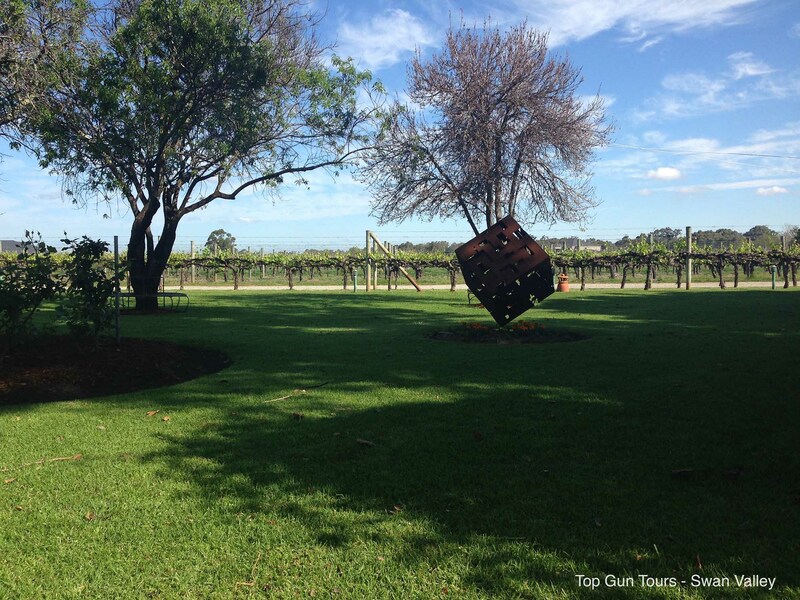 Swanbrook Winery is just one of the many wonderful destinations on the Top Gun Wine Tour. Perennially popular, this is one tour where you’re guaranteed to have a good time! 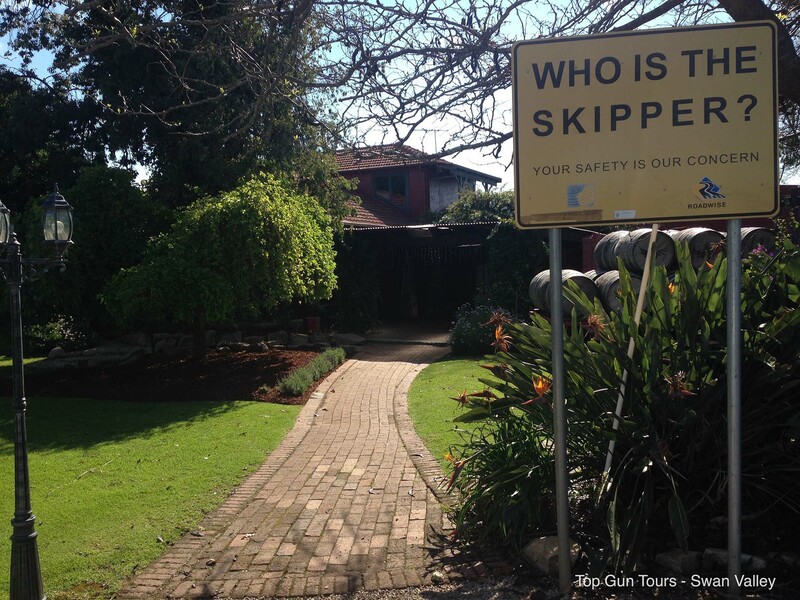 To find out more, contact Top Gun Tours today.